Posted <2017-04-29 Sat 20:12> by Aaron S. Jackson. 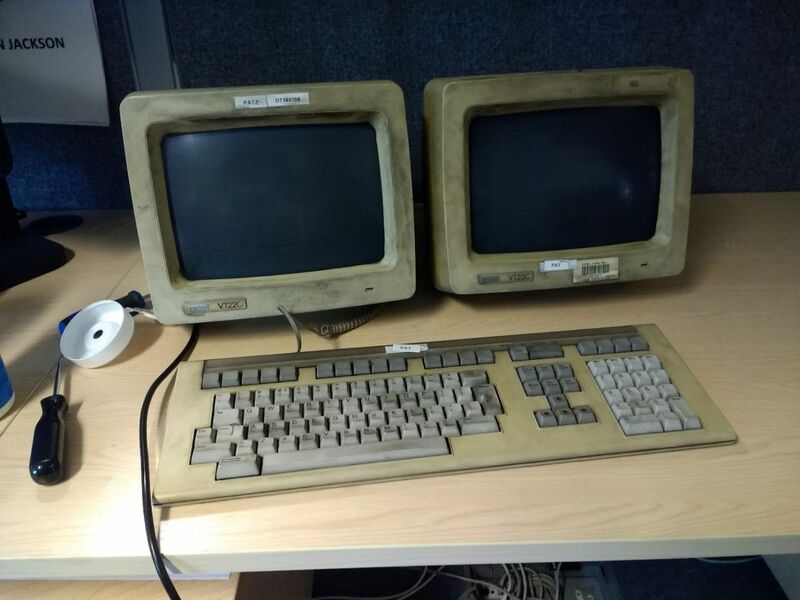 There are at least two dead VT220s in the School of Computer Science. We took two of them apart yesterday in the hope that we could cobble together one working terminal. The logic seemed fine, and the composite video output was working, but there was nothing displayed on the screen. My first thought was a faulty flyback transformer. 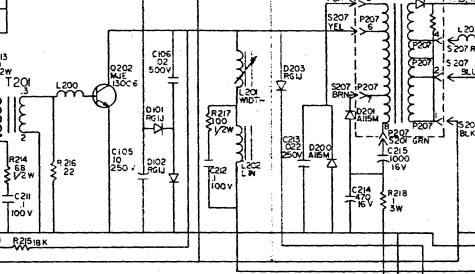 <2017-04-30 Sun 10:15> Looking at the circuit diagram a bit more, measuring 0ohm between pin 1 and 3 of Q202 is to be expected given that it passes through the primary windings of a few transformers, so it wasn't really a good test. I will remove it and test it.